Highpoint Dental Care Welcomes You to Our New Website! 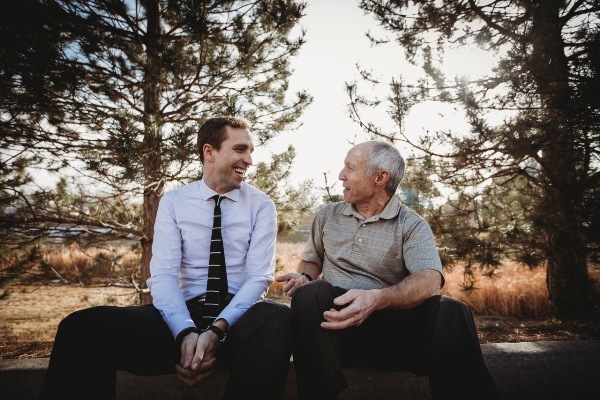 We’ve provided generations of patients in Aurora, Colorado, with healthy, beautiful smiles for decades, and our website reflects our drive for achieving the best results and the pride we take in our work. Dr. Baltz and Dr. Rowe are ready to talk to you! We are a family practice that offers a comfortable environment for you and your loved ones. Many patients experience odontophobia, or fear of the dentist, which is another reason why we take extra steps to deliver thorough patient education and a non-threatening atmosphere. Dr. Rowe and Dr. Baltz offer routine dental care for all members of your family, including children as young as 3 years old. For adults looking for a more aesthetically pleasing smile, we can use cosmetic dentistry procedures such as a smile makeover or porcelain veneers. Our aging patients often face tooth loss, and we can restore your teeth to prime condition using dental implants. You can use our easy-to-navigate website to learn more about the treatments and procedures that may benefit you or a family member. Our dentists develop a treatment plan specific to you and your cosmetic or oral health needs. We discuss the goals you have for your smile and are upfront about the cost and timeliness of your options. If you’re in need of a dental checkup or are interested in one of our procedures or treatments, please contact Highpoint Dental Care today at 303-617-9100 to schedule your initial exam. We serve patients in Aurora, Centennial, Parker, and Green Valley Ranch, Colorado.